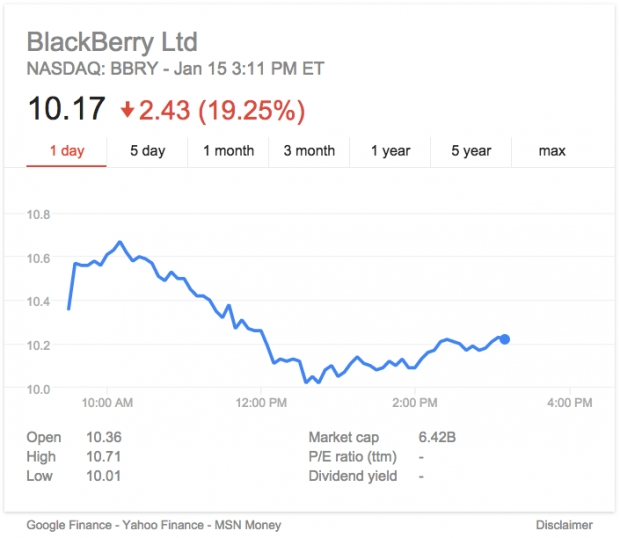 BlackBerry stock drops after denying Samsung acquisition | BlackBerry Blast! Despited BlackBerry's recent string of good news, a report by Reuters suggested BlackBerry was in talks with Samsung about a $7 billion acquisition. BlackBerry denied the report, and its stock tumbled nearly 17% in early trading. BlackBerry stock was up over 45% in 2014, but it looks like they are coming back down to earth. Sometime after BlackBerry denied the report, Samsung also denied the acquisition rumors. Reuters has stood by its original report. One possible explanation is executives from Samsung and BlackBerry did meet, but could not come to an agreement. Time will tell if BlackBerry will be acquired.